Robert Reich: Donald Trump vs. the Common Good. Robert Reich: Donald Trump vs. the Common Good. Plus, the man who stopped the My Lai massacre, and Katha Pollitt on Russiagate skeptics. Donald Trump's promise that corporations will use his giant new tax cut to make new investments and raise workers' wages is proving to be about as truthful as his promise to release his tax returns. The results are coming in, and guess what? Almost all the extra money is going into stock buybacks. Robert Reich: Who Are the Big Winners in Trump's Brave New World? Robert Reich's Rules for 2018? There's too much yelling these days, so we made this a silent video. (The only casualty was my arm, which ached for days afterward.) Hope you find it helpful. Best wishes for a 2018 that's better for America than 2017 was. The Big Picture: How We Got Into This Mess, And How Get Out of It I Robert Reich. Robert Reich: Guess Who Benefits From Trump's Tax Cuts? It's often thought that Democrats care about fairness and not economic growth, while Republicans care about growth even at the cost of some fairness. Rubbish. Growth and fairness aren't opposites. In reality, Democrats are the party of economic growth and fairness. Republicans are the party of neither. Selling the Donald Trump/Republican tax plan should be awkward for an administration that has made patriotism its central theme. Robert Reich, a former U.S. secretary of labor, is professor of public policy at UC Berkeley. 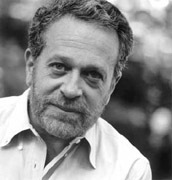 He blogs daily at www.facebook.com/rbreich. "Saving Capitalism" is a movie that I must recommend, although not entirely for the reasons former Labor Secretary Robert Reich would want. The Republican plan will hurt the poor, enrich the wealthy and make GOP campaign donors very happy. BY Robert Reich.